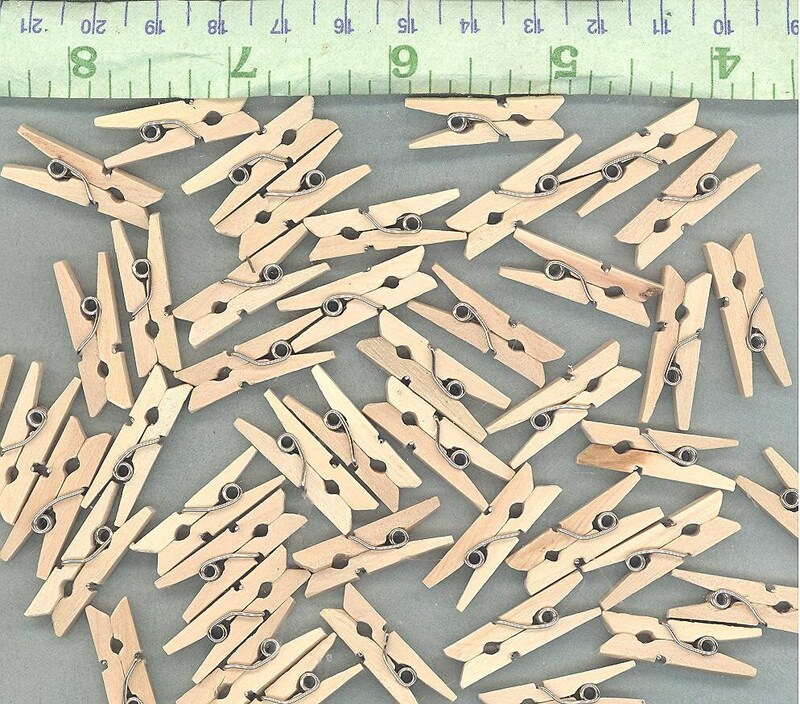 These are small wood clothespins are in natural wood. They are 1" (2.5 cm) long. 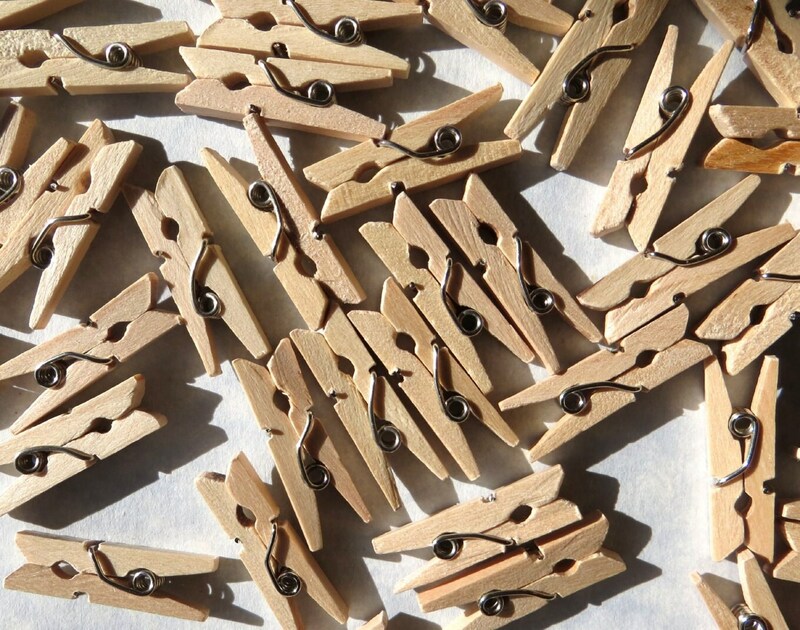 This is for 25 of these clothespins. 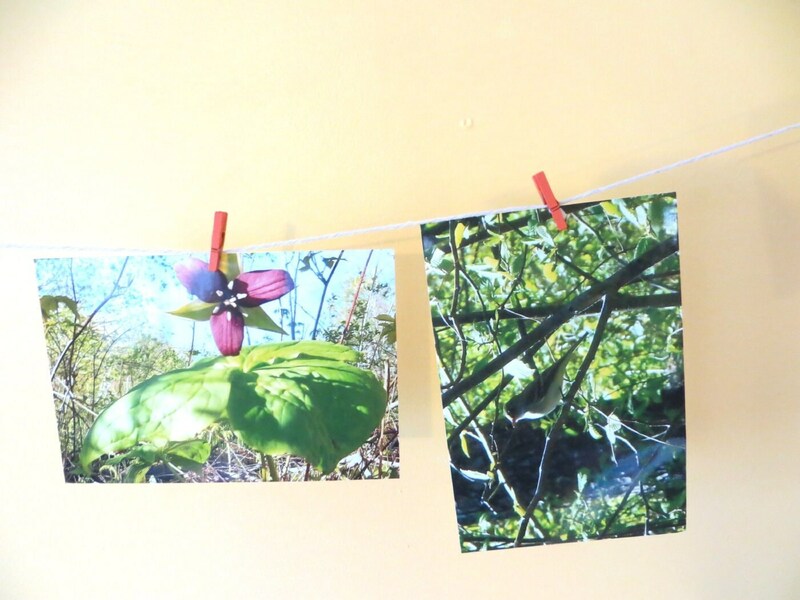 These are also great for rustic weddings or rustic Christmas holiday decorations. Also wonderful for party favors and treat bags. 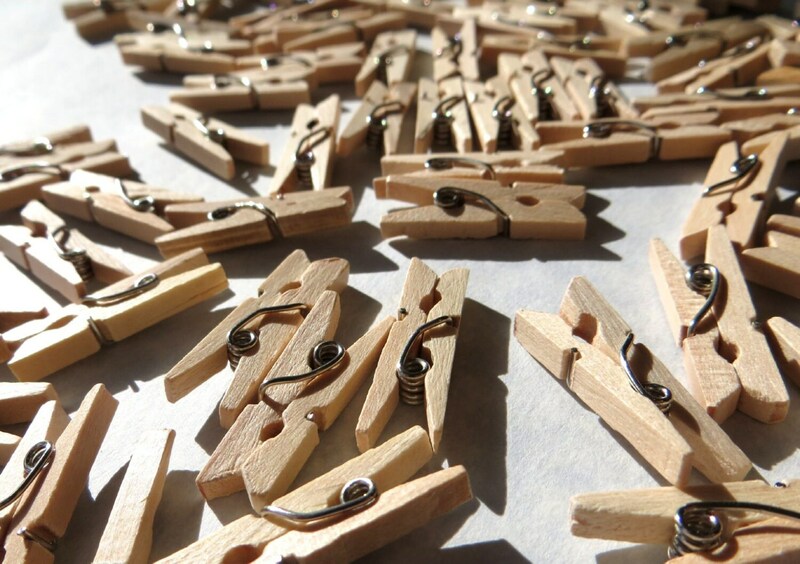 These seem to have a very light (hard to detect) coat of varnish, so they would not be suitable for staining. very cute, great quality! got here super fast!! Great buy. Perfect for my small DIY project. Thanks! 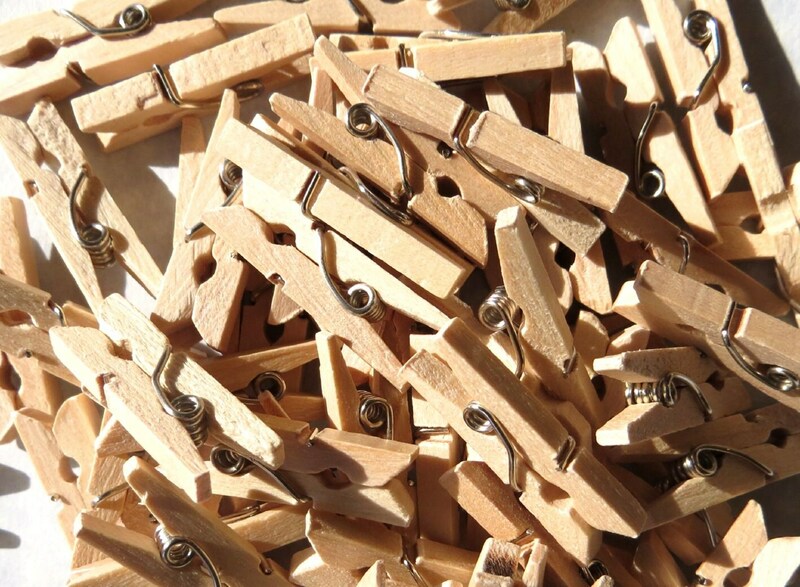 Natural wood mini clothes pins are very cute. These look nice with brown Kraft paper packages and organic type of gift wrapping. Very nice with fast shipping. Thanks!